The BMW 3-Series Compact never got off to a great start in the UK, being viewed by many as a cut-price, outdated BMW for those suckered by the blue propeller badge on the bonnet. True, those early E36 (1994-2001) models rarely hit the spot with enthusiasts, but BMW put a lot of that car's shortcomings right with the E46 series Compact launched in 2001. Here was a model range with modern engines, high tech suspension and up to date interiors. The styling still wouldn't win any prizes in a Concours D'Elegance, but at least it looked a little more contemporary. Used examples represent a budget entry into the BMW fold without too many sacrifices. It's long been de rigeur among motoring journalists to look down one's nose at the Compact, to brand it an example of profiteering, trading on the badge to turn a quick Euro. 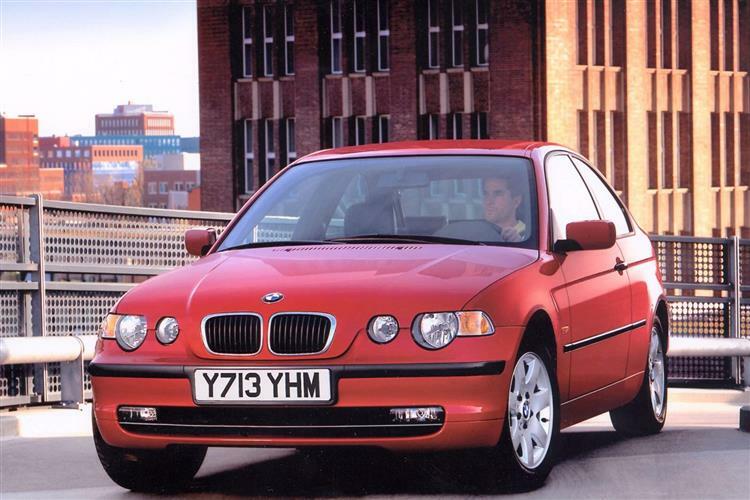 Whilst that accusation may have held water for the very first batch of cars to arrive in 1994, BMW has learned its lesson, giving the Compact a higher profile and endowing it with a quality range of engines and features. The stigma is difficult to shake off however, and many still view Compact drivers as the sort who'd sell their granny in order to sport a prestige badge. Whilst that may be true of some, there are now a growing number of enlightened drivers who realise that the E46 Series Compact is an excellent driver's car, and a rarity. How many other rear wheel drive hatches are there that are this good to drive? Mercedes comes close with their C-Class Sports Coupe but in truth the opposition is very thin on the ground. The E46 Compact was launched in August 2001, the 316ti and 325ti blazing the trail. A month or so later, supplies of 318ti and 320td diesel models began arriving in dealer's showrooms. The 325ti represented the first time a six-cylinder engine was available in the Compact body shell and has sold in encouraging numbers. In June 2003 BMW offered the Sport trim across all the engine choices and ES value models were also introduced. 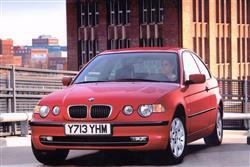 The Compact was gradually phased out following the launch of the 1-Series in early 2005. Although few can have any qualms about the engineering excellence of the E46 BMW 3 Series Compact, the styling still divides opinion. It carries over the old Compact's basic shape, but has made the detailing more intricate, bringing it up to date with some interesting, if slightly derivative touches. Those Rover-esque headlamps and Lexus-lite tail lamp clusters don't seem instantly BMW, and few thought the Compact a particularly svelte shape in the first instance. Certainly it seems slightly dumpy parked next to an Alfa 147 or even an upspec Volkswagen Golf. Amends are made to a certain extent inside. Whilst BMW can no longer claim to be exemplars of ergonomic perfection, the latest Compact's dash and interior aren't a great deal different from the standard 3 Series saloon, itself no bad thing. You'll probably be able to see where corners have been cut in terms of materials quality, but it hasn't been done badly and although it lacks the syrupy smooth feel of a premium Volkswagen/Audi product, you certainly won't feel short changed. One of the greatest criticisms of the outgoing Compact was that the rear seat accommodation was a little, well, compact. Adopting the lengthier wheelbase of the saloon, the latest Compact addresses this particular gripe, knocking supposedly more practical rivals into a cocked hat. Luggage space is more than adequate, and for those who make a habit of transporting washing machines, BMW claim the Compact will easily accommodate one with the rear seats folded. Washing machine removers? Has niche marketing finally reached its logical conclusion? For the rest of us the Compact marks a decent balance between practicality and performance. Many of the failings of the E36 model have been well and truly ironed out. The engines and running gear are largely trouble-free, although the dashboard electronics have been known to occasionally cry wolf. Check the condition of tyres and avoid any 'Max Power' specials with wide wheels and spoiler kits, as this will limit the resale to a very specialist audience. Other than that, make sure that the service history is fully stamped up and you shouldn't go too far wrong. (approx based on a 2001 318ti) BMW spares prices have gained an enviable reputation for good value, and replacement parts for the Compact are no exception. A clutch assembly is around £130, whilst front brake pads weigh in at around £40. A radiator retails at approximately £130, whilst an alternator will cost around £185. For a starter motor you'll be looking at £125 and a replacement headlamp will require £170. Diesel enthusiasts will love the all-singing 320td common-rail turbodiesel. The 316ti is agreeably brisk, reaching 60mph in 10.7 seconds before running out of puff at 125mph, whilst the 325ti will punch to 60mph in 6.9 seconds on its way to 146mph. The 320td's 51mpg capability looks sure to prove popular. What rivals like the SEAT Leon and Audi A3 lack is that delicious blend of rear wheel drive handling, and the sugary wail of a V6 engine. Lurid oversteering moments are kept in check by the stability control system, plus there's brake assist and electronic traction control. The manic hopping and skipping of the old Compact's semi trailing arm rear suspension is a distant memory, as even on 16-inch wheels the latest Compact is a supple and sure performer. The steering has been sharpened, offering a quicker rack than any other 3 Series model, resulting in an eager, taut feel at the helm. Even if you can't stretch to the V6, the 316ti and 318ti models are beauties, with a flat spread of torque that give it the sort of relaxed, muscular feel that belies their multivalve engine architecture. Although those looking for a screaming bargain may be disappointed by prices commanded by the E46 series BMW Compact, those in it for the longer term will be well satisfied by a quality car that offers almost everything a standard-issue 3-Series offers with a twist. The 325ti has to get the vote as the pick of the range, although the 325td will hold onto its value tenaciously. Whichever model you opt for, you'll get a great car. You'll just have to pay for it. Whoever reckoned the Compact was BMW on the cheap probably never had to stump up the folding for one. Like most things in life, you get what you pay for.